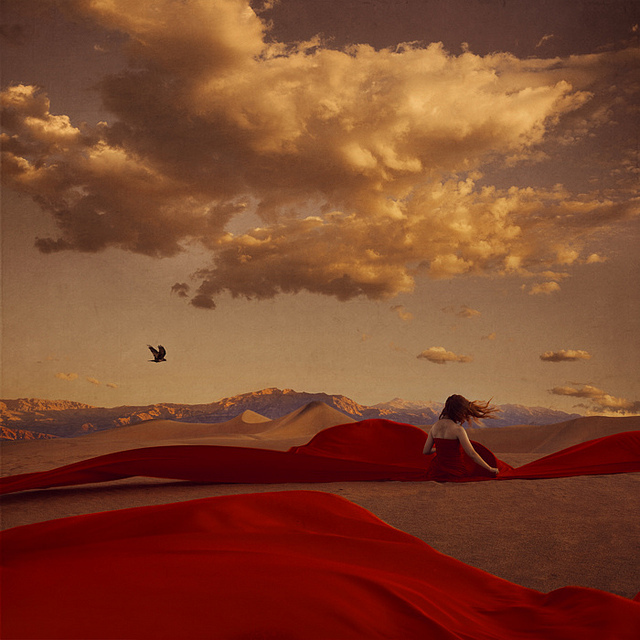 Today we have self-portrait photographer, Brooke Shaden. Her work candidly explores facets of abstraction, death, and femininity by using her surrealist photography as a vehicle. What inspires her the most about the ephemeral nature of death is the inherent equality and unity that is present in for all within this state. What I love about death is that it is so unknown, so universally connecting, and so widely practiced in many forms. It is, potentially, the only thing truly connecting us all, yet it is an end, a separation. I mean - how amazing is that? My fascination is never-ending. I spoke with her about the symbolic nature of her pieces, her workflow, and her inspirations. Prox: There an is element of abstraction in a lot of your work. 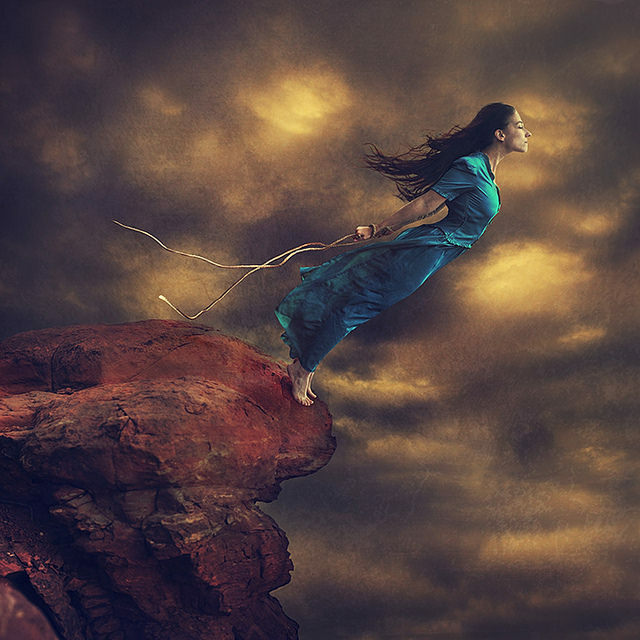 What compels you to create these fantastical shoots? Brooke: Symbolism. It is, I believe, our universal language. It connects those who don’t speak the same language or come from the same background. I love that in surrealism, in abstraction, we can tell a story - maybe our own story - without spelling out our past. We can use symbols as a form of storytelling, a made-up world our canvas. I believe this way of telling stories has the ability to connect and heal. Prox: The colors and filtering you prefer in some of your shots remind me of Dali (particularly The Persistence of Memory) Are you influenced by him or other abstractionists with a similar aesthetic? Brooke: First, thank you! That is a huge compliment for me. Interestingly, I have not been influenced by any painters from that era, though I admire them now in a way I had not previously. Painting as a whole has always inspired me, though I tend more toward classic painting and gothic as well. Goya is a favorite. Prox: It seems like the female anatomy and aura is revered when it comes to photography subjects. Are there any special precautions that you take to ensure that you are representing women in a positive and progressive light when they are your primary subjects for a shoot? Brooke: I photograph myself 80% of the time, and in doing so represent a largely female portfolio of images. At first this was unintentional and more of a fallback habit that I developed from being extremely anxious in social situations. However, as time went on I became more and more aware that not everyone would know that I myself was featured in my images, and it might look like a singular representation of what is an incredibly diverse subject, especially visually. That said, I do not censor myself or alter myself. I try to work within the confines - or, I should say, potential - that my body offers and I don't hide that. That is not to say I don't crave diversity, as I do and am trying to incorporate more into my work. But for the time being, self-portraiture is my primary focus. Prox: Why have you placed so much care and effort into juxtaposing femininity with an almost gothic take on nature? Brooke: I absolutely love opposites because of how much one thing says about another, and vice versa. It can be as simple as sadness vs. hope in an image, as beauty vs. darkness. You can't have one without the other, the meaning ceases to exist. When putting soft imagery, whether it be the curve of skin or warm colors, together with a landscape that is harsh, dark or eerie, it gives the effect of making both stand out more. Prox: You’ve mentioned before that you have an interest in death and the possibility of an afterlife. How does this curiosity impact the messages in your works? What does this interest tell us about you on a deeper level? Brooke: Indeed, death is my primary focus right now, as it was when I started my career. I have always been fascinated with the ephemeral and continue to let that fascination guide me. Curiosity is my addition right now, so everyday - and I mean literally every single day - I actively follow that curiosity and ask myself how I can physically manifest that into my art. What I love about death is that it is so unknown, so universally connecting, and so widely practiced in many forms. It is, potentially, the only thing truly connecting us all, yet it is an end, a separation. I mean - how amazing is that? My fascination is never-ending. So, I create with my changing views on death. Sometimes I am filled with hope, and that comes through in the work. Sometimes it just seems so messy, and that comes through as well. Dealing in death is something I've shied away from for a lot of my career, not wanting to be too polarizing. Forget that. I'm creating new work now that I'll release later this year and it dives, directly, into this topic. Prox: Could you describe your shooting setup for us? What are some of your go to equipment and programs? Brooke: I always start with brainstorming, whether it is for 5 minutes or 5 months. The average time I spend percolating an idea is about a couple of days. I often start with theme and then move on to writing about the visuals and the meanings behind them. After a (terrible) sketch, I shoot. I create with a Sony A7RII and a 50mm lens, plus my 3 Legged Thing tripod and a wireless remote. That's my whole kit, so shooting is fast and simple. I use natural light, always overcast or magic hour or window. I edit in Photoshop and that usually takes me about 3-4 hours on average, but sometimes upwards of 40 hours, depending. Brooke: Of course! Gregory Crewdson is one of my favorite photographers, Olivier de Sagazan for sculpture, Dune by Frank Herbert for a book, and seeing as I'm a sci-fi lover, Firefly for a tv show! Prox: Any releases or projects on the way that you’d like to tell us about? Brooke: I’m announcing my annual Promoting Passion Convention soon! Brooke is on Facebook, Flickr, Instagram, Twitter, Youtube, and her Website.